Faced with the beauty of a jewelry display case, any of us would feel confused. Perfectly normal, given their special appearance, beautifully emphasized by the craftsmanship of the jeweler who brought them to life. However, a precious stone is more than a gem. It tells a story, it is surrounded by legends and concepts, it highlights the personality of the wearer. It is a reminder of the temperament of each of us, a sincere statement of it. Therefore, choosing a precious stone requires taking into account different aspects. The following guide is meant to shed light on this subject. What makes a gem special is the way it reflects light. Similar situation would arise when choosing a diamond. In the next image, you see the correct reflection of the light. It must be reflected back to the surface of a precious stone, in order to obtain the maximum brightness that is capable of. Also the proportions of such stones are more pleasing to the eye than those that do not reflect light back to the surface, so it will be easy to discern the properly from the poorly cut gem. As you can see in the above figure, the angles are those that help guide the light and produce brilliance. But it's not that simple. Each type of gemstone has its own set of different "critical angles", which determines the optimal angles to return the greatest amount of light. However, the only thing that you have to keep in mind is that these critical angles also affect the shape of the stone, so no matter how skilled the jeweler is, he can not always create the exact jewelry you want, using the precious stones you have asked for. The jewelery market pretty much limits the design that a precious stone can display. If you choose to make a custom jewelry, the situation is quite different. Today's jeweler has access to a wealth of ideas, designs, and software to help him in the creation process. This makes possible to create unique pieces that emphasize the beauty of a stone. 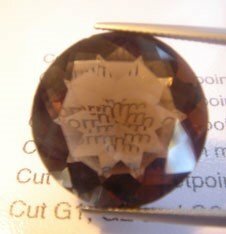 When a precious stone has an incorrect cut angle, it is what people in the field call a "window" or "window effect", meaning that it allows light to pass. The easiest test you can make to see if the gem has a window is to place it above a newspaper or other written material. Then look over it and notice whether you see the letters or not. You should be aware, however, that every stone, seen from a certain angle, shows a certain degree of window effect. Some stones and designs are even more likely to have this effect than others. It is normal and, most of the time, difficult to avoid. What you should be interested in is the window effect when examining the stone. The meeting points are those points where the stone facets come together at a single point. On a well-cut stone, these meeting points are very precise. On a machine-cut stone, these points tend to be less well defined. Ask the jeweler to lend you a magnifying glass to make sure that the precious stone you buy is a well-cut one. Look for any imperfections or inclusions it may have. Often, a stone may have internal flaws that are invisible to the untrained eye, so you might discover at home imperfections that you have not noticed in the store. Therefore avoid to be disappointed and take time to check the gem before purchasing it. In our store, we always try to identify and repair any defect, so that the precious stone you purchase is clear, clean and close to perfection. Note that not all inclusions are defects. As mentioned on the page " How to choose a diamond ," inclusions can give the stone its unique signature. Many customers see these inlcusions trapped inside gems as a sign of their originality. Also, try to examine a gemstone under natural light to get the right picture. If it is not possible, try to turn your back to light so that it falls on the jewel over your shoulder. Some stones, such as tourmaline, do not look good under artificial light. Fluorescent or incandescent light can make some stones seem dirty, foggy or even to modify the color. Try looking at the stone in different lights, preferably under natural sunlight. However, when choosing a precious stone, the options are based on a bit more than a set of physical criteria. Even though they are important, the true choice starts with our preferences, the way we feel about that stone, what we know it represents. Therefore, it is preferable to know these aspects too, in order to buy knowingly, especially if you want to gift that jewel. Precious stones have played different roles over time in the legends underpinning human culture. Some say their own stories or are considered to have special powers, but each is unique in color, place of origin or mystery around it. They have all the nuances of the rainbow and come from all corners of the world. Some of them are cherished from the earliest times, and others have been discovered recently. Those passionate about science will be astonished by this stone, due to its color changing. Under natural daylight, it gets a deep green hue. Inside, under artificial light, the color turns red to purple. 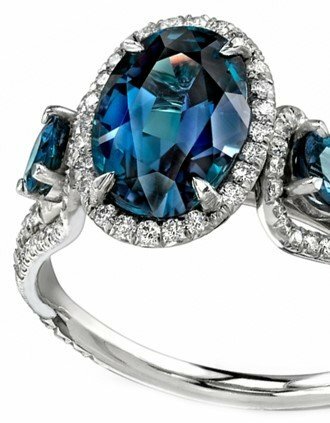 The value of alexandrite increases as the shade changes are more prominent. It is believed that alexandrite contributes to the growth of intelligence and creativity and inspires imagination. Originally, alexandrite was discovered in the Urals, Russia, in 1830, but is now also found in Brazil, Sri Lanka and East Africa. Despite this, however, it is extremely rare and valuable. 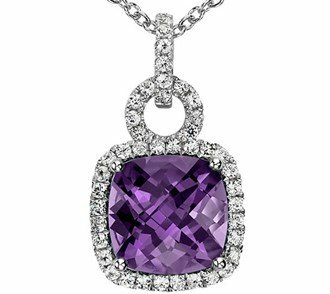 The ancient civilizations in Rome and Greece believed that the amethyst protects against the dizziness caused by alcohol. For centuries, amethyst has been associated with legends, myths and religions in many cultures. Having a particularly pleasant color is quite common and can be processed in many forms, so it remains one of the accessible stones. The purple hue complements both the warm and cool colors. Therefore, the amethyst can be mounted in both white or yellow metal. It is quite easy to understand, just by pronouncing the name, what significance this stone has. Its clear blue has turned it into a symbol of youth, health, hope and fidelity. Since it has the color of the sky and clear water, it was long believed that embodies eternal life. The darker the shade, the more valuable the stone is. However, on larger stones, the color is more intense, full of life. 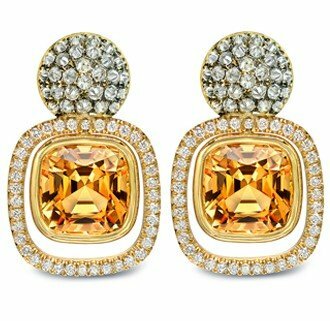 It is said that citrine was a gift from the Sun. The name derives from French and it means "lemon", as the nuances it has may vary from pale yellow to reddish-brown. In ancient times, citrine was worn as protection against venomous snakes and evil thoughts. Today, the symbolism of the stone has gained commercial connotations, being associated with prosperity and success. Very popular and accessible, citrine can be found in many shapes and sizes. 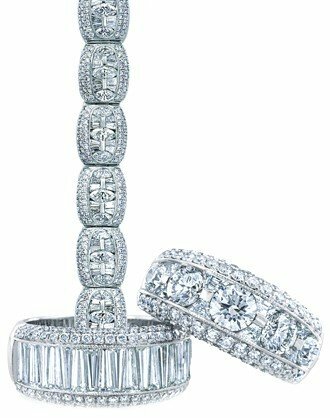 Although they have re-emerged in the last 50 years, diamonds have been coveted since ancient times. Formed over one million years ago, they are the most precious of all stones. Diamonds have a long history of folklore, a recurring belief being that it possesses healing properties. It is also believed to be a symbol of eternal love. 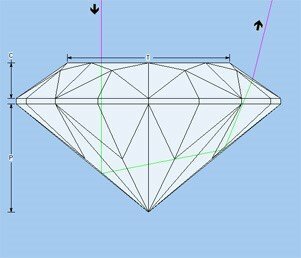 More details about diamonds you will read in the article "How to choose a diamond. Green is the color of revival and love, which is why the emerald was attributed to the Venus goddess. 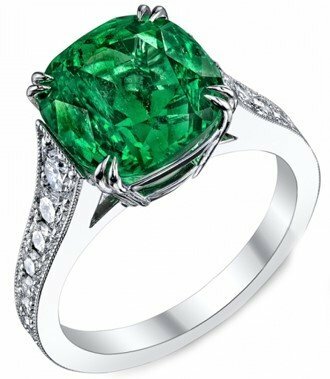 It is believed that emerald helps fertility. Cleopatra was the personality that became famous for wearing this precious stone, and the Egyptian mummies were often found buried with it. The greener and more intense, the more valuable and more beautiful it is. 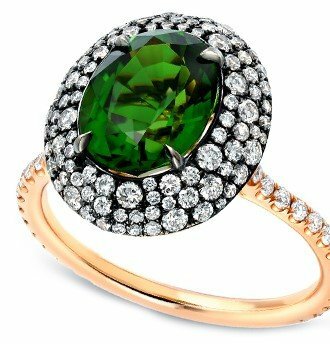 However, the most precious emeralds have an extra blue hue. In their case, inclusions do not detract from the value of the stone. This stone is found in a variety of colors, from dark red to green, each with its own name, which reminds us of the place it comes from. Legend says they bring light at night and prevent nightmares. The garnet was mainly carried by travelers to avoid accidents away from home and is attributed to those who were born in January. In China, jade is considered to be a royal stone since 2950 BC. It is believed to preserve the body after death, which is why it is found in the graves of the emperors and rulers of the world. Nowadays, many people consider the stone protects them from harm. Jade is known for its intense color and fine shapes. It can also be found in lavender, pink, yellow or white shades. The most common shape is the flat disc called "pi", often worn in necklaces. Known since 400 BC, Lapis Lazuli has been used to create the beautiful ocean blues in Renaissance paintings. Its name means "blue stone", and it is often crossed by golden pyrite inclusions, which gives the feeling of starry sky. It was thought to be a powerful aphrodisiac drug, but also that keeps the liver healthy and releases the soul of jealousy and fear. In Ancient Rome, it was believed that the stone was formed by the freezing of the moon, which is why it was named like that. Ranging in colors like gray, yellow, brown, pink, green or yellow, it can be found in India and Madagascar. 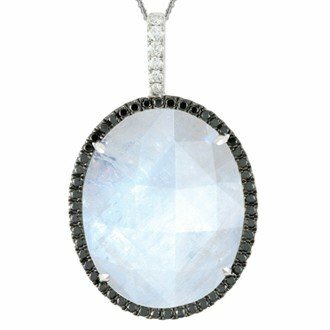 The most precious moonstone is the one that has perfect clarity and a light blue color. However, the stone is becoming rarer. With a special sparkle, the morganite has a clear pink color, peach or fuccia, and is known as the stone of divine love. Morganite has been, not once, associated with love and prosperity. 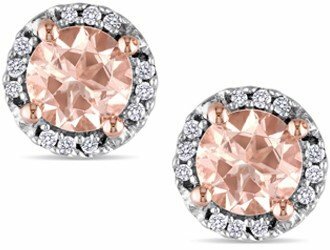 Morganite is preferred by women of all ages, especially since pink dominates the fashion industry. The stone compliments all skin tones and can be embedded in both white and yellow metals. Although the most famous color of the onyx stone is black, it can also be white, brown, red. For example, a brown onyx stone that has red and white stripes is called ruby. 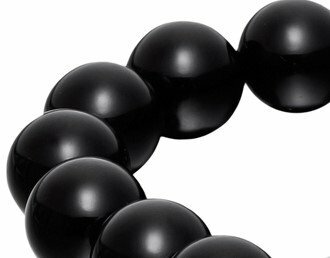 The most appreciated onyx remains the black one, due to its many possibilities of matching. 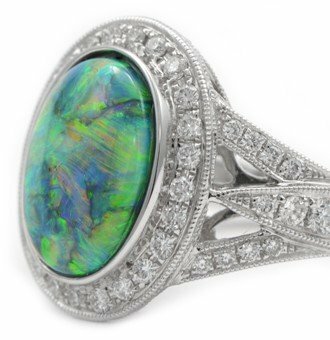 In ancient times, the opal was known as the "Queen of the Stones" because it included all the colors. That's why every opal stone is unique, like a human fingerprint. In Australia, however, there is a rare opal, having a black color. When deciding to buy an opal stone, make sure that the nuances fit your personal color preferences, since the emotions they transmit are so different from stone to stone. Discovered in the 1980s, the stone is one of the rarest on the planet. Its shades of blue and green remind us of the Paraiba shores, the only place they can be found. 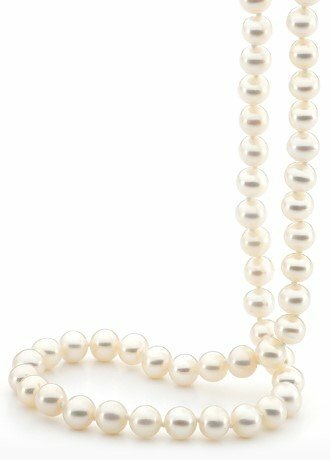 Throughout history, pearls have been admired, or even venerated. Persian mythology called them "the tears of the gods," and the ancient Chinese believed that only the moon had the power to create them, giving pearls the mystery touch and a celestial glow. Pearls are unique, being the only ones formed within a living creature. Since natural pearls are rare and hard to recover from the ocean, people invented ways to cultivate them in a recreated environment that makes molluscs to behave naturally. Culture pearls come in many colors and shapes, each with unique qualities. 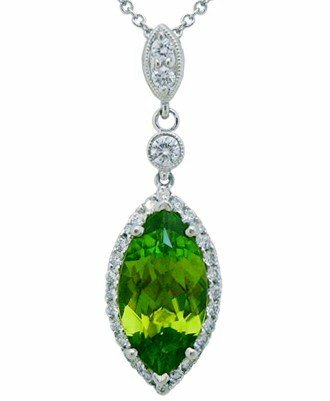 Peridot is one of the few stones that is found in one color - a distinctive lemon green. In the ancient times, it was thought to be a gift from Mother Nature to celebrate the annual creation of the new world. When given as a gift, it is said to bring the wearer magical and healing properties. Today, most of the peridot stones come from Arizona, but they are also found in Pakistan, China or Myanmar. Stones over 5 carats are rare, and over 10 carats are extremely difficult to find. Rubelite is a combination of pink and ruby color, varying in shades from pale pink to purple. An authentic ruble shines as intense under artificial light as it does under natural light. Its vibrant colors reflect energy, passion and life and are thought to bring emotional balance and calm. 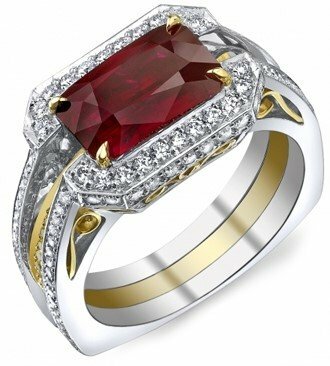 Ruby represents passion, love, emotion and courage. Hundreds of years ago, this precious stone was considered the King of Gems. Its behavior was believed to bring good luck and, therefore, was one of the most precious kings' assets. Even today, ruby is seen as the most precious stone. The more intense and bright the color, the higher its price. 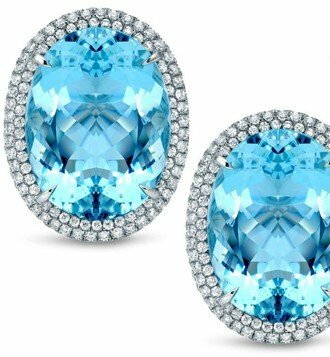 In Greek, the term "sapphire" means blue. For centuries, it has been considered the most valuable of all stones having this hue. Its symbolism is a promise of loyalty, trust, honesty and purity. That's why, nowadays, it is one of the most popular precious stones used to create engagement rings. 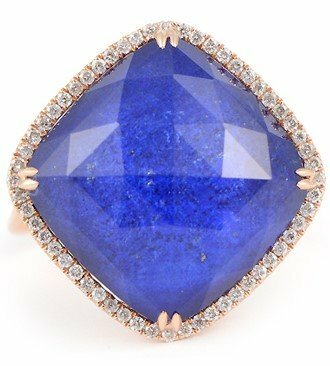 Sapphire is found in many places in the world, but the best come from Sri Lanka, Myanmar and Kashmir. The purer the blue, the greater the price. 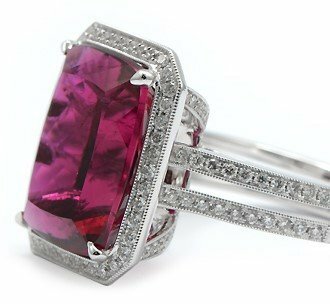 Sansriti called the spinel as "the daughter of the ruby." Due to the similar colors, the two of them are often confused with one another. It can sometimes be found in quite large sizes. In addition to the beautiful shades of red, the spinel can also be orange, pink or purple. 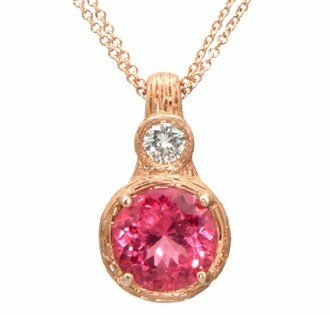 One of the most spectacular stones in the world is the pink spinel with an orange tint extracted from Burma. It may also have blue shades. Tanzanite is a unique stone because it can only be found on the Kilimanjaro massif. 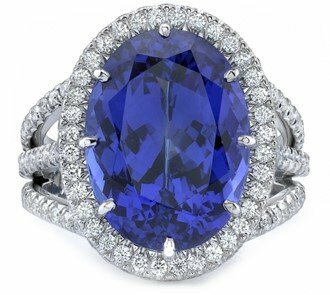 The exotic blue gets purplish, a characteristic that no longer appears on any other stone. 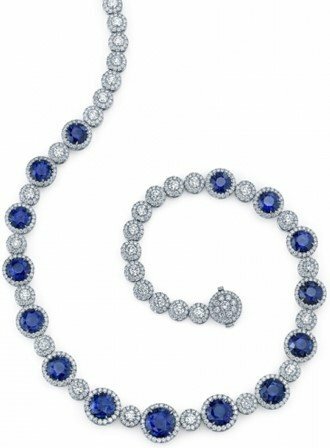 Rarely in a pure blue, Tanzanite comes in a variety of shapes and sizes. 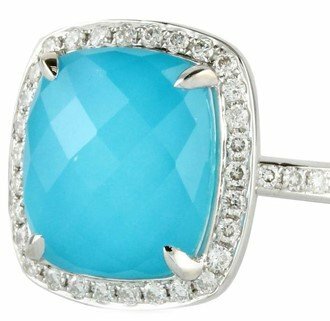 At the same time, the larger the stone, the more beautiful and deeper its blue color is. 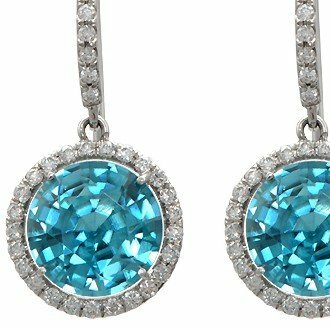 In shades of yellow, brown, green, blue, red, pink or colorless, topaz is very popular. 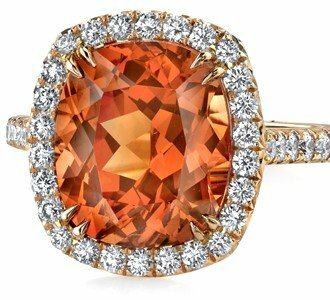 The most valuable hue is called Topaz Imperial and has an orange tone with pink tones. The slightest hue is blue, but technology has also allowed it to be obtained by regular ways, so it is quite common. The ancient Romans and Egyptians associate the stone with the sun, believing that it has healing powers and provides protection. It is said to be the sign of a mind that has attained spiritual enlightenment. Available in a wide range of color combinations, tourmaline means "mixed stone." Having all the colors of the rainbow, can easily enhance any jewelry collection. The most valuable tourmaline stones are those that contain 2 or 3 colors, sometimes even more. 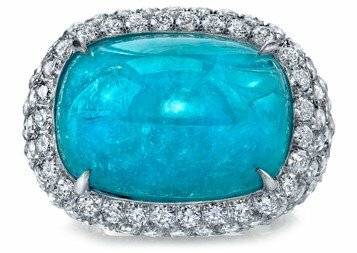 Turquoise is one of the world's most popular and ancient stones. In the past, it could have been seen at the throne of the Egyptian pharaohs or adorned the ceremonial dress of early Native Americans. The beautiful jewelery has been given vindictive powers, protection against the forces of evil and bringing good luck. Sometimes, turquoise can have a black-brown or yellow vein, called a "spider web". 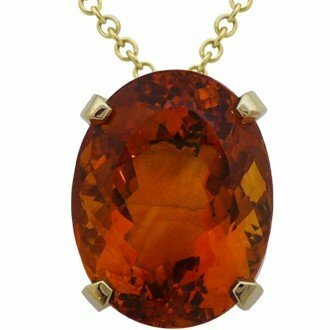 Although Zircon is known to be blue, it can also be found in shades of dark red, green, yellow, brown or orange. 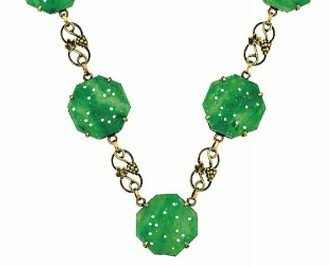 In the Middle Ages, it was believed that this precious stone brought rest, prosperity, honor and wisdom to those who wore it. Today, it has become popular as it is affordable and its shades allow to be worn in many combinations.